Farm in a Barrel is a simple, effective tool to help someone in need start a backyard farming business. Everything needed to set up a farm is packed into a 55-gallon drum barrel and can be set up in a few hours. The project relies on local economies for inputs and local leadership for management. 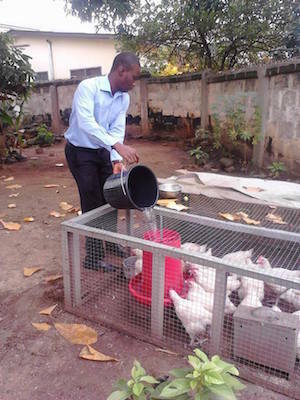 The first FIAB project has 50 systems for broiler chickens in Ghana and has been running well since the summer of 2013.